Endophytic fungal strains isolated from the coastal plant Vitex rotundifolia in Taiwan were accommodated in Alpestrisphaeria according to an analysis of internal transcribed spacer (ITS) and large subunit ribosomal RNA gene sequences. Based on this analysis and on a unique monodictys-like anamorph, the species, A. monodictyoides, is proposed as new. Type specimens of three species of Monodictys were investigated. A new name is proposed for the invalid M. indica S.M. 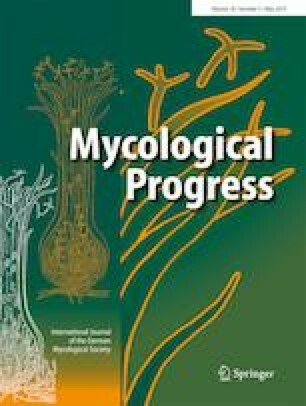 Singh & Barde (non M. indica K. Chowdhery & Rehill); the invalid M. saudii is considered sclerotium-like structures of a sterile mycelium and excluded from any taxonomic naming; M. torulosa is synonymized with M. fluctuata. Early stages of conidium ontogeny are suggested as potential phylogenetically significant markers for a future revision of the polyphyletic genus Monodictys. We thank C. Glatthorn, Frankfurt, for providing literature and A. Bond for arranging the loan of specimens from K. Paul Kirk, Kew, is thanked for his clarification of the labeling of the specimen of M. torulosa.